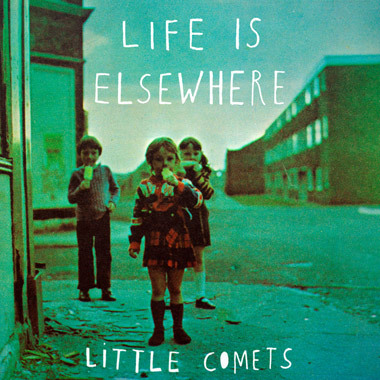 Little Comets have recently announced that their sophomore album, to be titled Life Is Elsewhere, is going to be released on 20th August. You can pre-order it here. The band’s debut, In Search Of Elusive Little Comets, was a treat, with it’s nods towards to the 80’s guitar sounds of Steve Winwood and the afrobeat rhythms of Paul Simon, and judging from the lead track off their recent EP, the new album will keep this sound going. Below you can listen to the recent single ‘Jennifer’, as well as a favourite of mine. And as a bonus, the band recently released an acoustic cover of ‘Waiting In The Shadows In The Dead Of Night’, which you can download for free from their Soundcloud.